I have this problem where when I’m hungry, I like to watch food shows, look at pictures of food, talk about food, etcetera. Maybe somewhere in my subconscious I feel like my appetite can be satiated through the other senses. 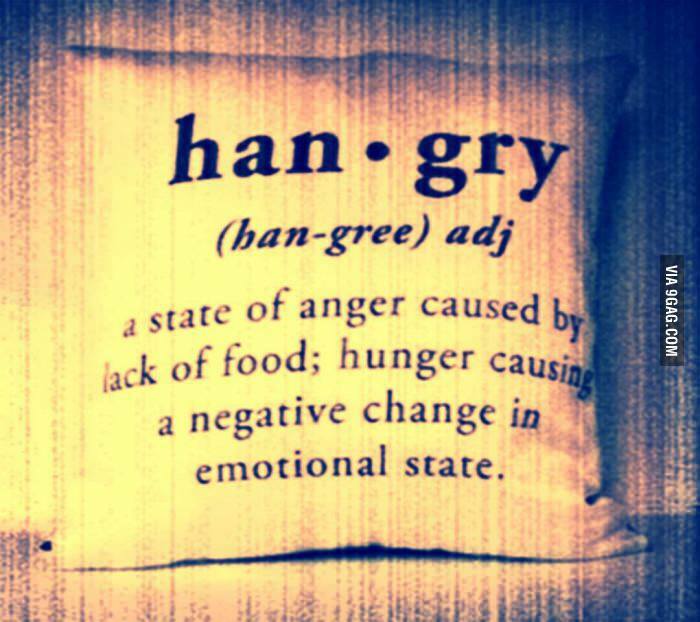 Instead, I get hangry! But now, I will tell you about the Burger Monster. Just yesterday, I was discussing burgers with my friend. I told him, after that burger in Japan, I’m not too big on trying burger places anymore because I will probably not be as satisfied. I said I’d rather just get In-N-Out because it’s cheap and I know it’s good. Why bother spending 10 bucks on a burger that doesn’t impress me? Well today, Burger Monster was at Bootleggers Brewery. I like to scope out whatever food truck is there. Today, I was also starving. Today, I saw HASH BROWNS in a burger. I didn’t intend to eat here, but hot damn! The Attack of the Killer Potato burger won me over. Hash browns + BBQ sauce + garlic sriracha + lettuce + tomato + melted cheddar AND bacon!! !=Satisfaction, guaranteed! 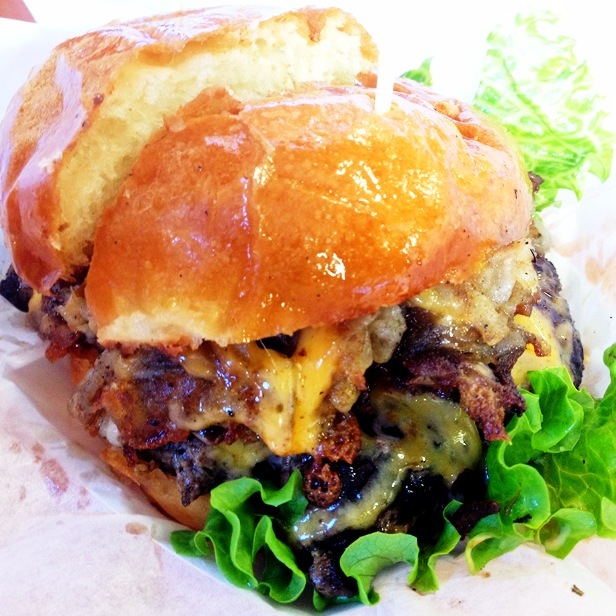 The burger was juicy, the bun (made daily by a local baker) was soft, it’s delicious! My only complaint was that I didn’t get fries to go with my burger. What was I thinking? I was thinking I was just sampling this burger, splitting it with the boyfriend while we enjoy half a pint of the Bootleggers Knuckle Sandwich beer, which I also recommend. It’s a double IPA, 10 percent alcohol, and still manages to be kind to your flavor palette. Anyway, back to Burger Monster. I noticed they had many variations of fries, one of which were carnivore fries that included pastrami in the mix. So yes, lesson of the day, always get fries with your burger! And eat at Burger Monster.